Anyway, I’m heading to Mom 2.0 soon enough and am in need of a cocktail dress for the Iris Awards. Audrey and I are nominated for Entrepreneurs of the Year for 2017. Super FUN! I’ve been on the hunt for options to bring along and this one caught my eye. It’s from J Crew – one of my favorite places to shop! The One Shoulder Eyelet Dress only comes in black which I obviously don’t mind. Love a great neutral for the evening. To keep things simple, I paired it with classic strap heels (similar).But if you want to have a little fun, go for a red pump instead! As far as your clutch is concerned, I think ANYTHING will go – that’s why I didn’t show a bag. I feel like this dress is pretty neutral. So, shop your closet and have a little fun. To see all the dresses from the #50DressesForSpring collection, click here. 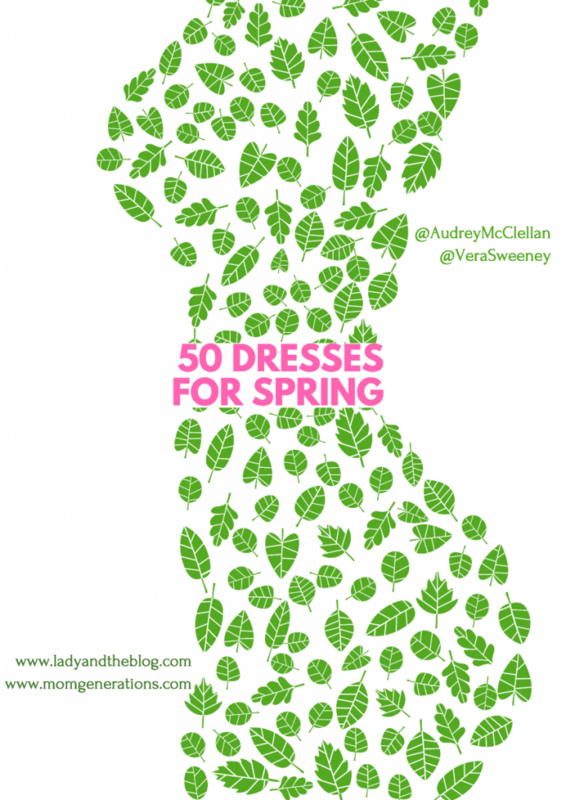 To check out what Audrey posted today, visit her site.